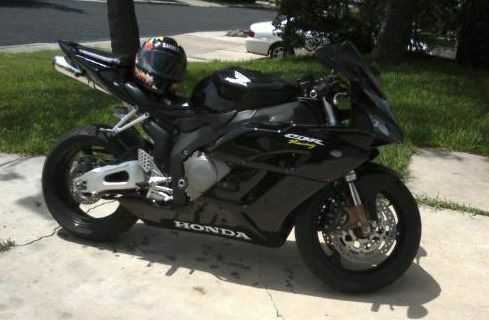 Description black on black honda cbr 1000 rr. warped lower fairings due to exhaust. HONDA label is distorted. chrome two brothers exhaust out of back under seat. no license plate bracket. speedometer has melted view due to spilling clutch fluid on it. fairings are glossy black, and black windshield is peeling.